Koralli manufactures and installs made-to-measure Corian® furnishings. 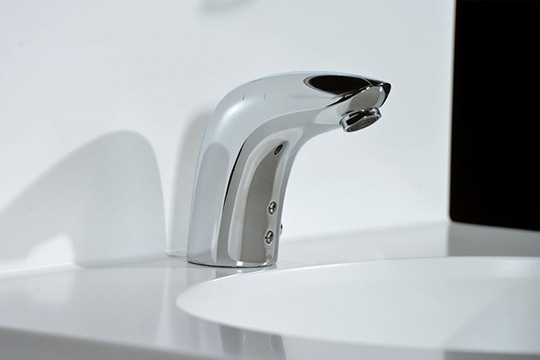 Koralli is an authorised manufacturer of Corian® products. Corian® is a unique composite material created as the result of years of product development by US company DuPont. The material combines the strength of natural minerals with the density and resilience of acrylic. 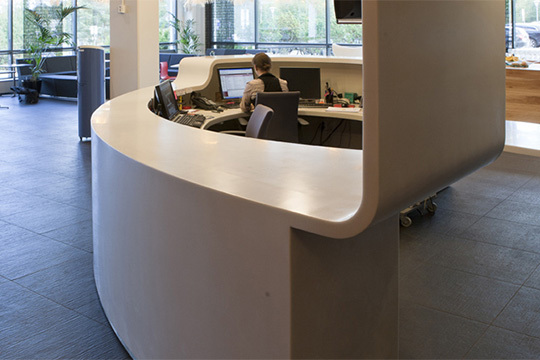 As a material, Corian® is strong, durable and easy to take care of. 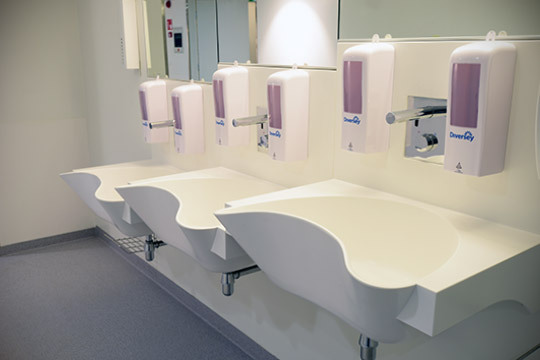 We have used Corian® products in a number of hospitals, schools, daycare centres and company offices. 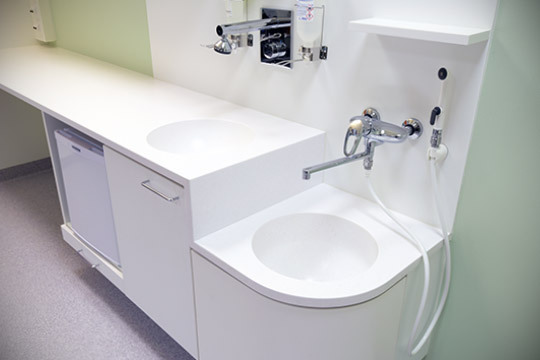 Corian® is a fantastic choice for public spaces requiring different worktops, counters or basins as fitted furniture. 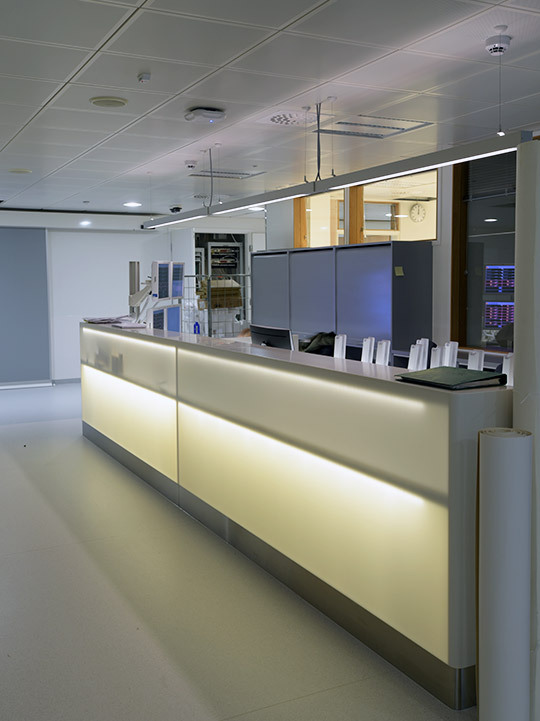 Corian® worktops and basins are functional solutions for hospitals, companies’ reception foyers and café counters. We also have a long history of collaboration with a number of boat manufacturers. Corian® products manufactured by Koralli-Tuote can be found touring the globe in Swan, Bella Aquador and Targa boats. 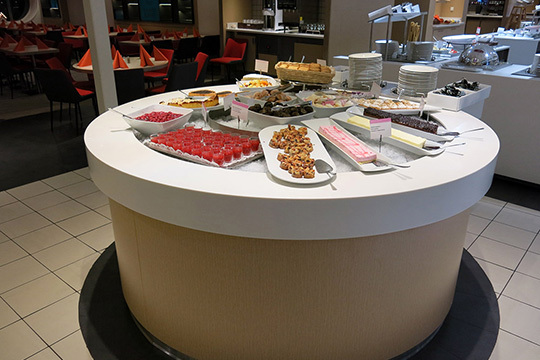 Corian® is astoundingly versatile and durable. Small scratches and even cigarette burns can be removed from Corian® surfaces. 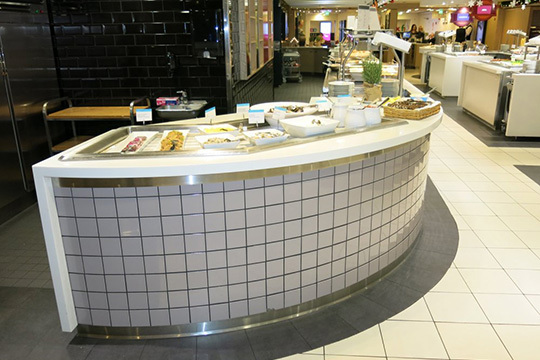 Corian® can be shaped to suit almost any design, and can be worked like hardwood or thermoformed. This allows for individual interior solutions in which the designer’s imagination is the only limit on what Corian® can become. Its high quality and functionality make it a superb investment.